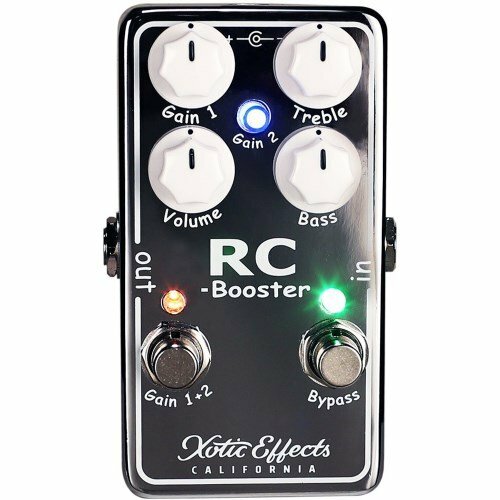 Xotic's infamous RC Booster has been renewed! The RCB-V2, inspired by the Scott Henderson RCB-SH model, now comes with an added gain channel for even fatter tones with a super transparent 20dB+ clean boost. The adjustable +-15dB two band active EQ allows players to dial in their sound with pinpoint accuracy and adds a HUGE range of harmonic content to the player's overall sound. Because this pedal is so transparent, many players find that they'll leave it on at all times! True Bypass for eliminating any signal interference when switched off. Run it at 18v for even more headroom. If you have any questions about this product by Xotic, contact us by completing and submitting the form below. If you are looking for a specif part number, please include it with your message.